Apple is finally about to add a 21.5-inch model to its Retina Mac line-up, having only offered the eye-wateringly expensive 5K 27-inch iMac until now. Or at least, that's what 9to5Mac says is the case. It claims that, according to “multiple reliable sources”, Apple is going to announce the 21.5-inch 4K iMac on 13 October. To give you a better idea of how much of an upgrade it'll be, current 21.5-inch iMacs have 1,920 x 1,080 pixel screens. The 4K version will most likely offer a resolution of 4,096 x 2,304 pixels. That's a meaty upgrade, and one that'll make small text look much, much smoother. And it's one that still gives the 27-inch 5K iMac a comfortable lead. If you just dropped £1599 on the king iMac, there's no reason to cry onto your debit card just yet. How much will the 21.5-inch 4K iMac cost? As yet we don't know. But we can make a good guess. 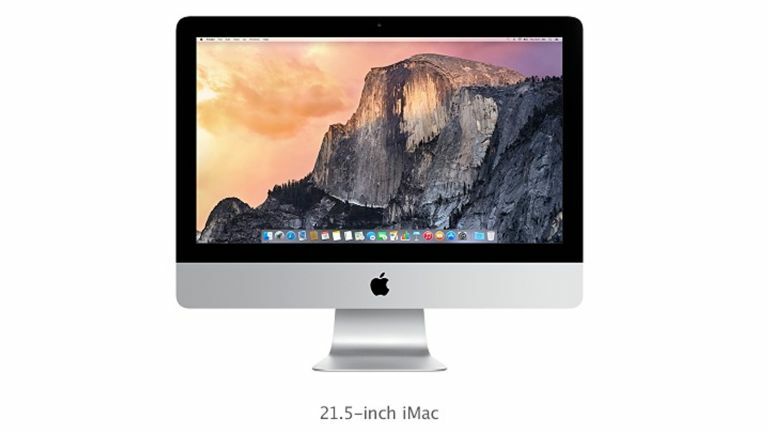 The 5K 27-inch iMac costs £150 more than the 'normal' one. A worst-case scenario suggests the 4K 21.5-inch iMac may cost around £1350, judging by the cost of the current top-end smaller iMac. There's also some suggestion that Apple may unveil a new Force Touch magic mouse to go alongside it, but we'd be happy enough to see the iMac turn up solo. Roll on 13 October. All 27-inch iMacs come with a 5K display as standard too.